﻿Can’t Sleep? Try Peppermint Tea! 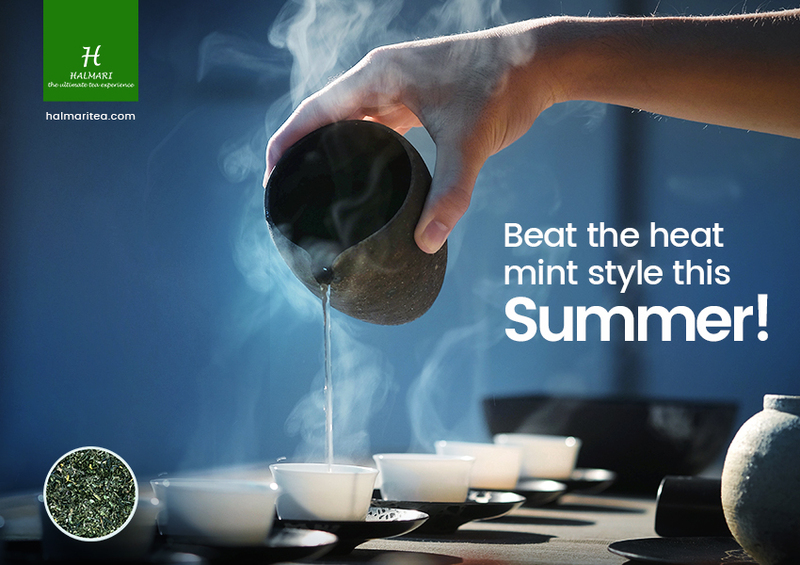 It is not an unknown fact that drinking Peppermint Tea has numerous health benefits. That is why over the years it has steadily risen to the top of the list of most popular beverages around the world. People nowadays are giving up caffeine for tea because drinking this tea comes with minimal side effects and a lot of benefits. Why are People Resorting to Herbal Teas? Well, herbal teas contain various essential oils in large quantities. That is why tea is in a way therapeutic to the drinker’s health. These teas have healing properties that help to soothe various ailments like common cold, an upset stomach, a headache or even insomnia. Chamomile, peppermint, ginger, hibiscus etc. are types of herbal teas, each having their amazing benefits. Peppermint Tea: Is it the Answer to Relieve Insomnia? 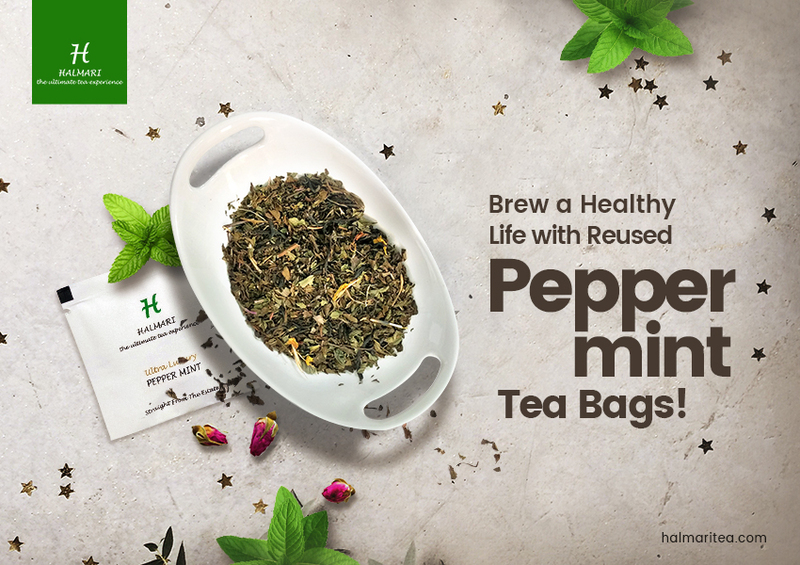 Peppermint tea is a kind of herbal tea made with an infusion of peppermint oil. The amazing thing about this tea is that it contains all the goodness of peppermint oil and by extension menthol. It is known that peppermint tea helps to soothe an upset stomach. But did you know that it is equally beneficial for people who have trouble sleeping? 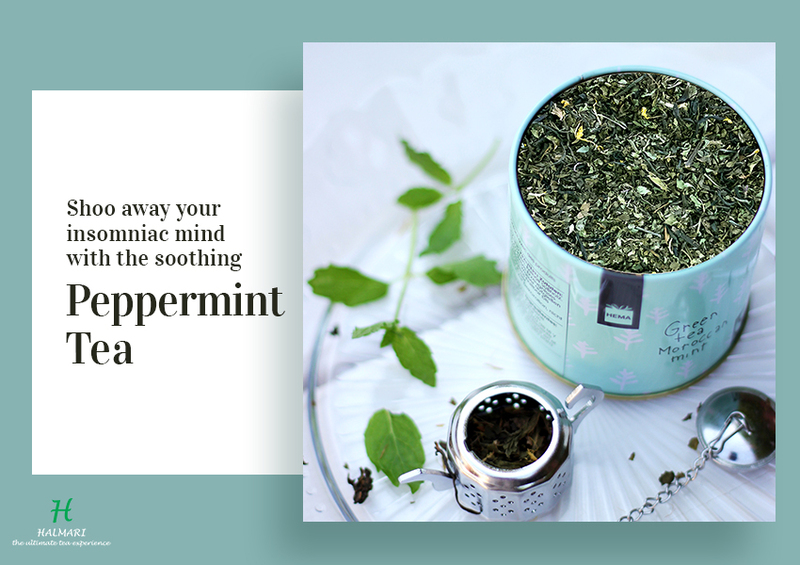 Peppermint tea has a soothing effect that acts as a muscle relaxant. It is, in its entirety, free of caffeine and that is why a great drink to nurse before going to bed at night. It is a known stress reliever and helps people to relax after a tiring day at work. Thus people with insomnia have found it extremely helpful to have a cup of the drink before bedtime each night. Also, since it relieves other issues like gastrointestinal ailments, headaches, nausea etc. it is a drink that is guaranteed to give you a peaceful night of sleep. That is why, people who are looking for non-medicinal options to counter insomnia, often resort to peppermint tea. Even though it acts as a counter for insomnia, it is unwise to consume peppermint tea in large amounts. After all, too much of anything can produce some adverse effects. In this case, taking too much of the beverage can give rise to some gastrointestinal issues as well. Also, people with menthol allergy are better off without trying peppermint tea for remedying their ailments! A good night’s sleep is what you would want after a tiring day at work. If you get deprived of this, then quite obviously your entire schedule for the next day gets hampered. Moreover,r if this cycle continues then you will suffer from the terrible ordeal of insomnia. You will be prey to micro-naps and eventually, your health will break as will your mental peace. So, to stop such disaster, get the peppermint brew today and try it out to have a sound sleep.